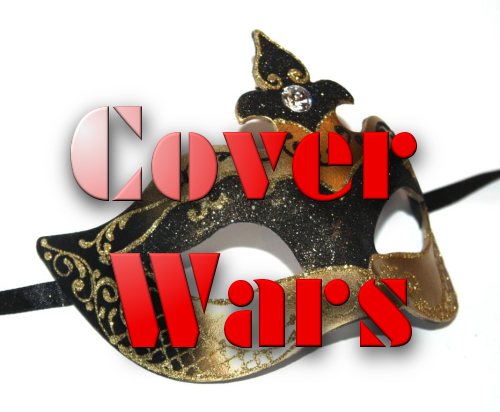 Cover Wars, Scavenger Hunt and Giveaway - Sign up for March! February is almost upon us, so it's time to cut off sign ups for that month and move on to March. Whether you've wanted to try this campaign but haven't or you are a Cover Wars veteran, now's a good time to throw your book into the pile. It starts at just $5. And that's exposure for a month. Can't get any cheaper than that (unless I did this for free and unfortunately I can't). The power behind Cover Wars is the community driven traffic. Bring your family, friends, and anyone else you can get—have them come to the site to vote for your book every day. By doing this you are helping your fellow competitors. Exposure for all! And you get all of this for only $5 (Cover Wars fee). Scavenger Hunt Giveaway: In addition to everything a normal scavenger hunt gets, those that pay for the giveaway get to showcase their book even more, offering copies to the winners. These copies can be digital, print, or both. For the small additional giveaway fee, your book is not only included in the giveaway—it will be displayed more than a book that is simply in the Scavenger Hunt—and more prominently as well. A pic of all available books to be won will be used to showcase the giveaway. And, finally, books that are available in the giveaway will have a synopsis included—yet another way your book is exposed to the campaign participants.